If you want to lower your tax bill and perhaps get a refund, you need to reduce the income on which you're taxed. By default, you get to subtract an amount set by the Internal Revenue Service, or IRS, from your taxable income. If you accumulate certain expenses over and above the standard deduction and keep good records, you can enjoy more tax savings with itemized deductions. You may deduct the interest -- up to a point -- on a mortgage for your main or second home. If you bought the home with your loan, you can claim the interest on up to $ 1 million of debt ($500,000 if you‘re married filing separately), as of publication. If you borrowed against the difference between the home’s value and what’s owed on it -- i.e. the equity -- the debt on which your interest is based is capped at $100,000, or $50,000 if you‘re married filing separately. Mortgages for stick-built homes, mobile homes and even boats can qualify. The lender will send a Form 1098 to report your mortgage interest for the year. Turn what you pay in state and local government taxes into deductions. Look at your W-2 tax form for the amounts withheld from your paychecks for state and local income taxes. If you prefer, you can deduct your state and local sales taxes rather than income taxes, but you can’t write off both. If you opt for the sales tax deduction but didn't keep sales receipts, use the IRS’s “Sales Tax Deduction Calculator” or the optional sales tax tables in the Schedule A instruction book. Don't forget taxes you paid on the value of your car, home or boat. Pull together the donations to charitable groups, including your house of worship. Giving to individuals in need, while a worthy endeavor, doesn't qualify for a tax deduction. Go to IRS.gov’s “Exempt Organizations Select Check Tool” to see if the recipient of your giving spirit qualifies as a charity. In addition to your monetary gifts, you can write off the fair market value of donated clothes, books, toys, electronics, cars or other items. When you get a receipt, you’ll usually have to write down what you donated and what you think it’s worth. Get an appraisal if you claim an item is worth over $5,000. Include your actual costs for gas, or alternatively, 14 cents for your mileage -- as of publication -- to a site for volunteer work. You may deduct some medical expenses for you, your spouse and children. Include payments to doctors, hospitals and dentists, prescriptions, insurance co-payments and insurance premiums. Add up the miles for your trips to appointments; you get to deduct 24 cents per mile, as of publication. Parking fees at the hospital, or the bus or taxi fare to get to your appointments also count. Subtract your medical expenses from 10 percent of your adjusted gross income You get to deduct only the difference; if expenses are less than 10 percent of adjusted gross income, you don't get any deduction for medical and dental expenses. Spending money to do your job can lead to deductions. Your daily commute doesn’t count, but you can write off the miles from your office or headquarters to a job site. If you work from home, the trip to a job site is deductible. Use 56.5 cents per mile for travel -- as of publication -- if you're not able to figure your actual gas costs. Include train, airplane or bus fair and the hotel bill. Save receipts for buying and dry-cleaning work-issued or required uniforms or hard hats, safety shoes and glasses for work. You can’t deduct expenses for which your employer reimburses you. You may only deduct expenses above 2 percent of your adjusted gross income. 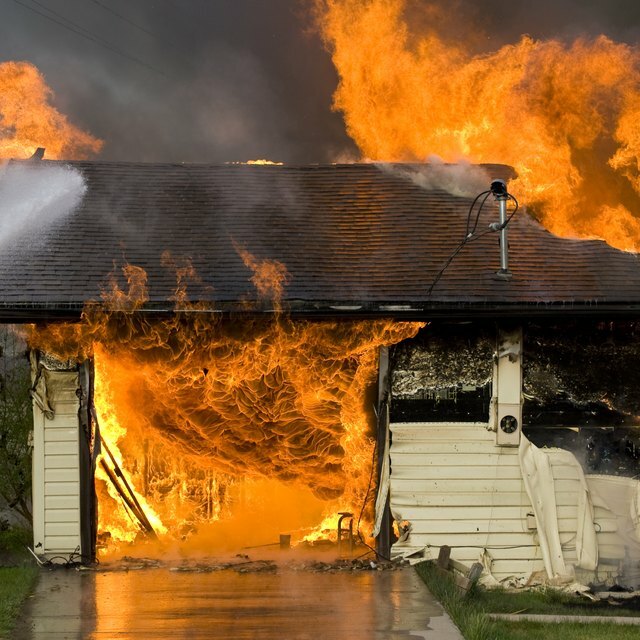 If you've had a wreck or been a victim of a storm or other natural disaster or a thief, you might write off some of the property damage or loss. Typically, you get to deduct the smaller of the decline in value of the property or what you paid for it; a repair bill might help show the loss of value. You must reduce your deduction by what you get from insurance. For each event of loss, only the amount above $100 qualifies for the deduction. Also, you're allowed only that part of your total losses (after accounting for the $100 deductible for each loss) that is north of 10 percent of what you report on line 38 of your Form 1040. Add what you've paid for losing lottery tickets, raffles, bingo or other unsuccessful games of chance. However, don't rely on gambling as a way to lower your tax bill. The deduction for gambling losses is limited to your winnings. Internal Revenue Service: Tax Topics -- Topic 501 -- Should I Itemize?